Experienced lock forward will lead out the side for eighth consecutive year. Glasgow Warriors have named Al Kellock their captain for the eighth season in a row. As the Scotstoun club launched its new kit in Glasgow on Monday, head coach Gregor Townsend revealed that the Scotland lock will retain the honour for the campaign ahead. 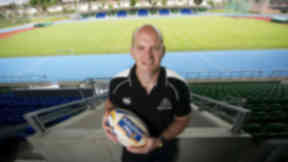 Speaking to the official Warriors website, Kellock, 32, spoke of his “extreme pride” at leading the team once more. He said: “It's a great honour for me to have been chosen once again and I'm looking forward to leading the team in the RaboDirect PRO12 and Heineken Cup next season. Townsend, who led the Warriors to the Rabo play-offs in his first year in charge last term, said the decision had been an “easy” one to make. The former Scotland stand off said: “Al is an inspirational leader and does so much for the club both on and off the pitch.